This flower bud must have went POP this morning. The anthers are twice as long as the flower is. 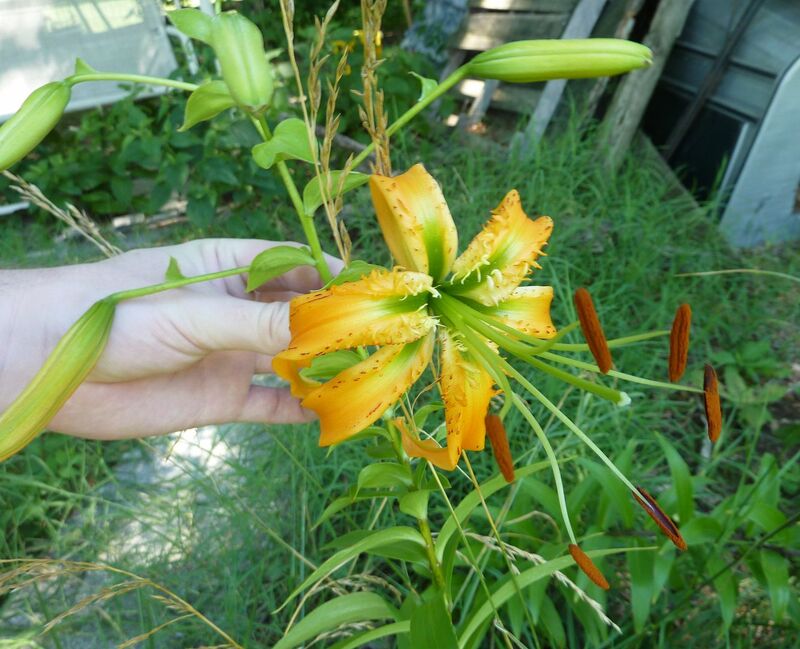 I'm not sure on the identification here but it's not Lilium superbum like the catalog said. Leaf arrangement is completely different, spots are all wrong, as I mentioned the anthers. I suspect it's something my mother ordered but frankly I've forgotten who bought what outside. 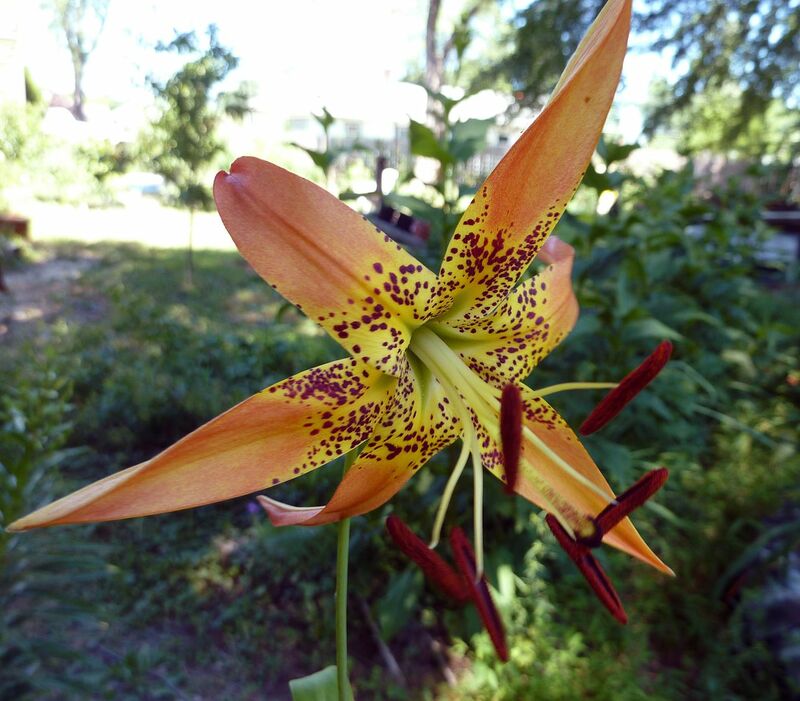 Lilium superbum has anthers at a more sensible length. The pattern of spots is dazzling, and the leaves poke out from the stem in a star like fashion with many leaves going in every direction.